What is RFID or Radio Frequency Identification? RFID which stands for Radio Frequency Identification refers to the use of a non-contact and wireless system which takes advantage of radio frequency electromagnetic fields in transferring data from tags that are attached to objects to promote automatic tracking and identification. Some of these tags do not need batteries because they are already powered by electronic magnetic fields that you can use in reading them. There are also those that take advantage of a power source which operates locally and emit radio waves. All the tags used in RFID contain essential information and data that are electronically stored and you can easily read even if you are a few meters or yards away. If you want to become a certified RFID professional, then be aware that enrolling in the RFID certification program which is now available at Brainmeasures can offer you the kind of help that you desperately need. The RFID course offered by Brainmeasures is developed in such a way that you will no longer experience any difficulty understanding the Radio Frequency Identification (RFID) technology. With the help of this certification course, you will get the chance to easily access an RFID training which allows you to master the entire RFID system, its uses, its major components and the basic steps and procedures that you need to follow to make it work. You can also expect the RFID certification course offered by Brainmeasures to work in molding you into one of the most efficient and effective RFID experts at present. 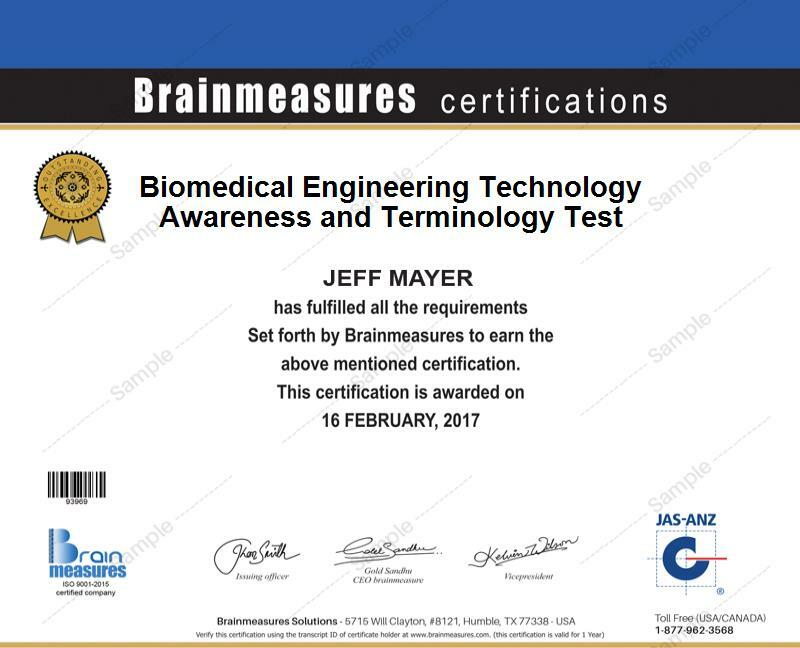 Because of the effectiveness of Brainmeasures in providing online certification courses to the public, you will no longer experience any difficulty impressing the public with your skills and expertise after you receive your RFID certificate. How to perfectly fit RFID applications into your own world? How to perfectly fit the RFID system in all your strategic plans? The RFID certification program which is now available at Brainmeasures is extremely useful to hundreds of individuals and professionals who dream of gaining a stronger background about RFID. You can expect this to work perfectly for you if you are one of those who wish to implement RFID systems, understand the best practices associated to the RFID system, implement the most effective RFID systems and effectively carry out RFID site survey. Your successful completion of your RFID certification course gives you the chance to start receiving a higher level of salary. You can expect your RFID certification to work effectively in your attempt to get the position of an RFID technician which allows you to earn at least $44,000 yearly. If you work as an RFID engineer, then it is greatly possible for you to earn around $62,000 to $95,000 annually. If you get the position of an RFID consultant, then you get the chance to receive an annual salary of $106,000 to $123,000.